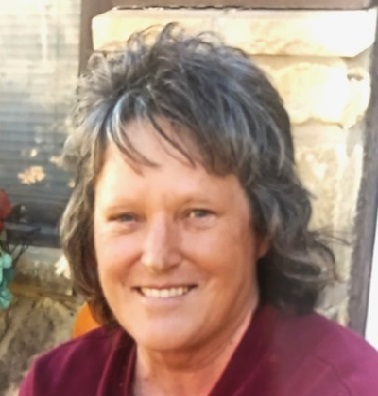 Catherine “Cathy” Louise Nichols, 62, of Arkansas City, KS, passed away on Saturday afternoon, December 1, 2018 at South Central Kansas Medical Center. Cathy was born on April 27, 1956, in Alamogordo, NM, the daughter of Windell Nichols and Louise (Manard) Nichols. She graduated from Arkansas City High School the Class of 1974. She worked for Lot-A-Burger in Ponca City and Arkansas City and Kan-Pak and K-Square locally. She enjoyed watching old western movie classics and caring for her numerous cats and dogs. Her family includes: mother, Louise and niece, Nevaeh of the home; her brothers, Robbie Nichols and wife, Diane of Derby, KS; David Nichols and wife, Janice and Randy Nichols and wife, Cindy of all of Arkansas City, KS; her sisters, Karen Michael and companion Jim Ramirez and Krista Nichols all of Arkansas City and Roseann Nichols of Derby; her grandmother, Pearl Powell of Arkansas City and numerous nieces and nephews. She was preceded in death by her father and grandfather, Leon “Blackie” Manard. Cremation has taken place. The family will have a memorial service on Wednesday, December 5th, 2018 at 2:00 P.M. at Calvary Chapel, of Arkansas City, KS. A memorial has been established with Shelley Family Funeral Home to help with funeral expenses. Contributions may be made through the funeral home.